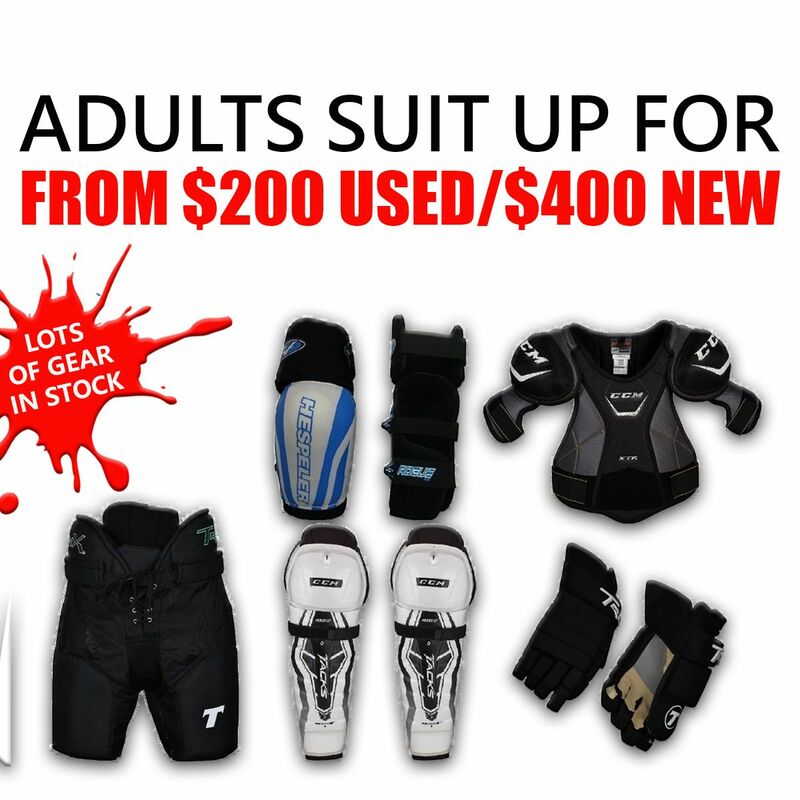 Sports Junkies offers a fantastic selection of new and used hockey equipment at discounted rates. You won’t get a better bang for your buck anywhere else in the Vancouver. New junior and adult hockey skates are priced to move at up to 50% less that the competition. Used junior hockey skates start at just $14.99 and adult skates are $29.99 and up! Juniors figure skates begin at $14.99 and adult figure skates start at $29.99. 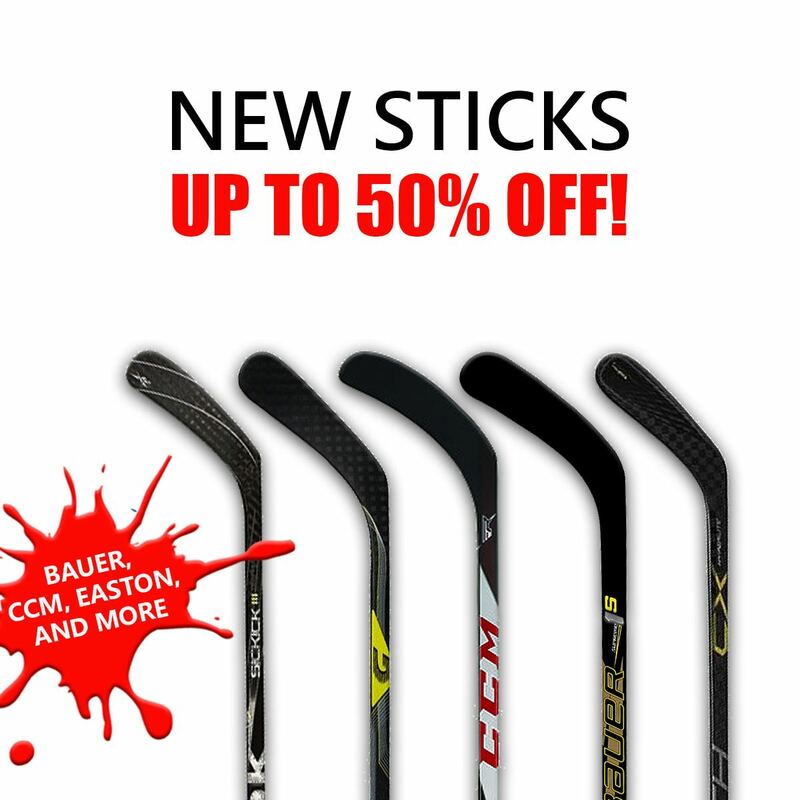 Keep in Mind: Our inventory changes constantly, but you’ll always find great deals on brands like Bauer, Reebok, Sherwood, CCM, Easton and more! Come into the shop today to see our full selection of hockey equipment. Our friendly and knowledgeable staff is always on hand and ready to help you get geared up! Sports Junkies is always interested in taking a look at your hockey gear. However, we don’t buy everything that comes into the store. Is older and out of date: We want to give our customers the best quality products as possible. Therefore, we only buy items that are in newer condition.  We don’t need: From time to time we are overstocked with certain items and need to hold off on taking more. Is used for safety: Under no circumstance can we buy used hockey helmets or any type of helmet. 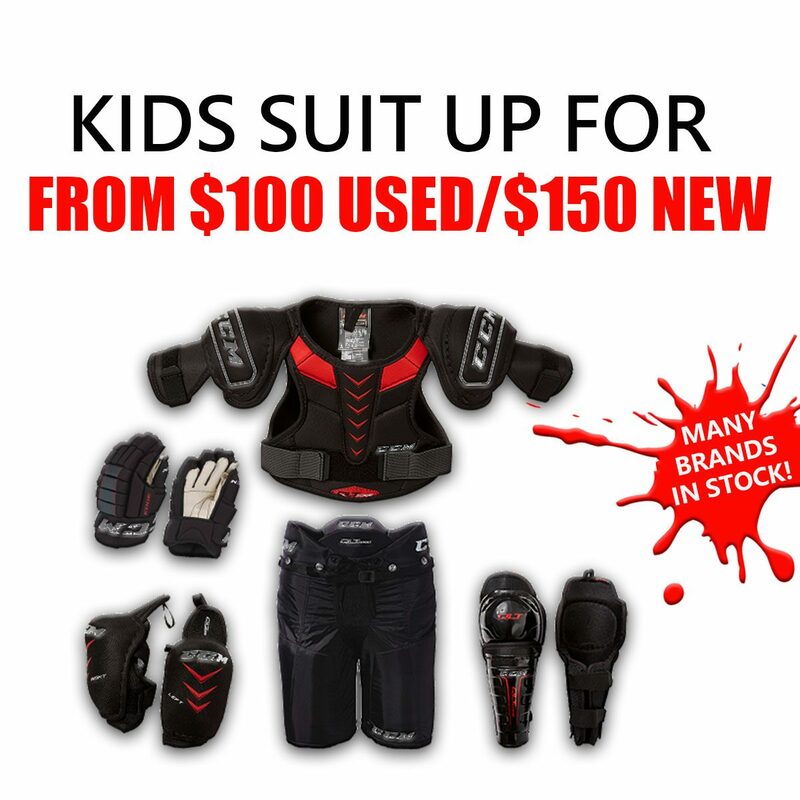 If you think you might have hockey gear to sell us, we ask that you take a look at the Sports Junkies purchasing policy before bringing it in. Any questions about selling us your equipment can be directed to our buying staff, give us call!